The IT company Fiftytwo, who among other things have specialized in business applications for retail and the grocery sector, grows the gross profit in 2018 from 71.6 mil. Danish Kroners to 75.4 mil. Danish Kroners. A result, that as part of a conversion from a license- to a subscription-based business model, gives a postponement within the growth. Fiftytwo delivers, as expected, an operational result of 11.3 mil. Against 9.2 mil., a 23 percent improvement from 2017. We’re really satisfied with the result from 2018. We’ve grown our operational EBITDA margin with plus 23 percent and our gross profit with 5.3 percent. A result that could have broken all records if it hadn’t been for the unfortunate bankruptcy of TOPTOY end of year 2018, CEO Henrik Salicath explains. Fiftytwo provides omnichannel solutions for all the trendsetting retail chains in Denmark, including Salling Group, Dagrofa, BAUHAUS, Matas, Neye, Magasin, Illum, jem&fix to name some of them. Fiftytwo ensures that their customers’ customers get consistent buying experiences across the physical store, mobile and web. In addition, the result is affected by our conversion from license sales to a SaaS business model where the gross profit and cash-flow end up in steps when customers consume and draw on our software services, Henrik Salicath says. With Amazon’s entry into Denmark, most likely in 2019, as well as a retail industry under major pressure because of intense transformation, it is according to Henrik Salicath no longer enough to ensure consistent buying experiences across commercial platforms. Right now, stores demand technological solutions which can help improving the customer journey both in store and online. Therefore, Fiftytwo takes it one step further and invests massively into development of AI based software solutions that support the customer experience with data, and for example provide the opportunity for stores to give customers intelligent offers on the right time and place across sales channels. The company is developing voice-controlled check out solutions, to eliminate fumbling with credit cards and phones which creates long store queues. The retail industry has really opened their eyes to thinking differently when it comes to the customer experience, such as the experience when the actual purchase is made, and the payment must be much more simple, easy and secure. Therefore, the chains invest in the customer journey and this include that customers should not stand in long queues at the check-out. The time has run from an “acceptable waiting time”, Henrik Salicath explains. 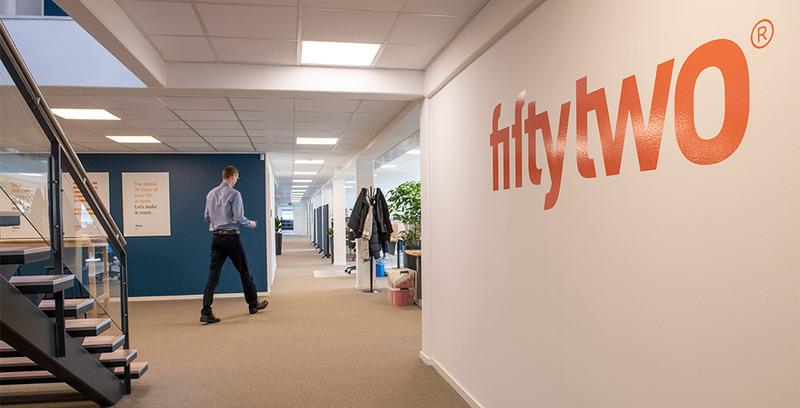 According to Henrik Salicath, the ambition is still that Fiftytwo during the next couple of years doubles the revenue and number of employees across the Nordic. The expectation is that most of the future growth comes from the development of intelligent, technological solutions that integrates with omnichannel solutions in stores. - In a close joint venture with our parent company, Bording Group, we’ve therefore invested in a brand-new innovation lab, that will ensure that Fiftytwo is constantly ahead of the game when it comes to development of technological solutions for the retail industry and at all time capable of delivering solutions with extreme short time-to-market, Henrik Salicath says. Retailers’ ability to poach competitive advantages and differentiate themselves to ensure customers get a positive buying experience and remain loyal to the store is of paramount importance for the retail industry in the future, according to the CEO of Fiftytwo, Henrik Salicath. Henrik Salicath stress that acquisition, internationalization, competency development for the organization as well as growth are central components of the strategy. Firstly, the North and Germany are on the radar at Fiftytwo.